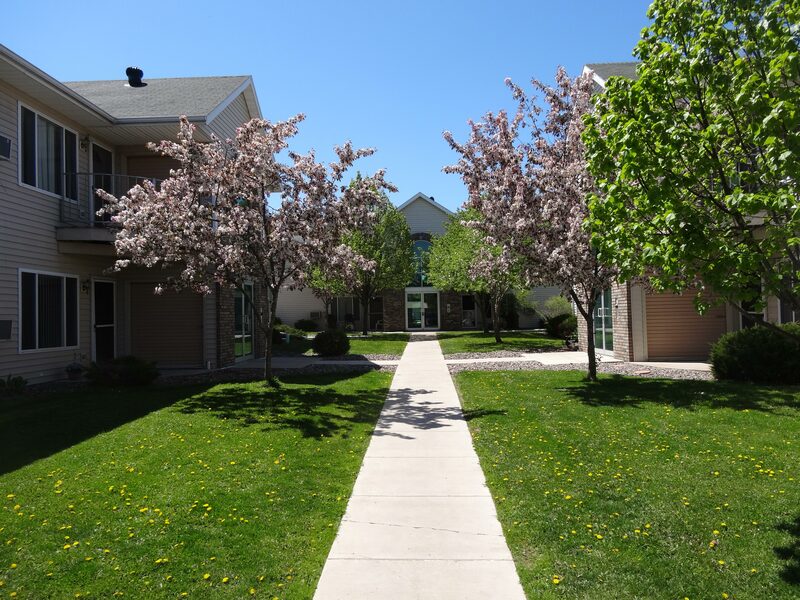 Allman Park Apartments & Condominiums in northeast Medford, WI, is a planned unit development made up of five 8-plex apartments and four 4-plex condos. Thoughtfully designed to offer plenty of space, storage, security, and luxury, this well-kept community is an ideal place to live for retirees, single professionals and working couples. Park-like, landscaped grounds, a high priority on maintenance, and quality construction elevate Allman Park Condos to a place you’ll be proud to call home! The city of Medford, population 4,326, is a cultural and industrial hub of north central Wisconsin, sustaining the local area with thousands of jobs in manufacturing, industrial, and medical fields. With its close proximity to many county, state, and national forests as well as local community parks and trails, Medford is a destination for outdoor recreation of all kinds.